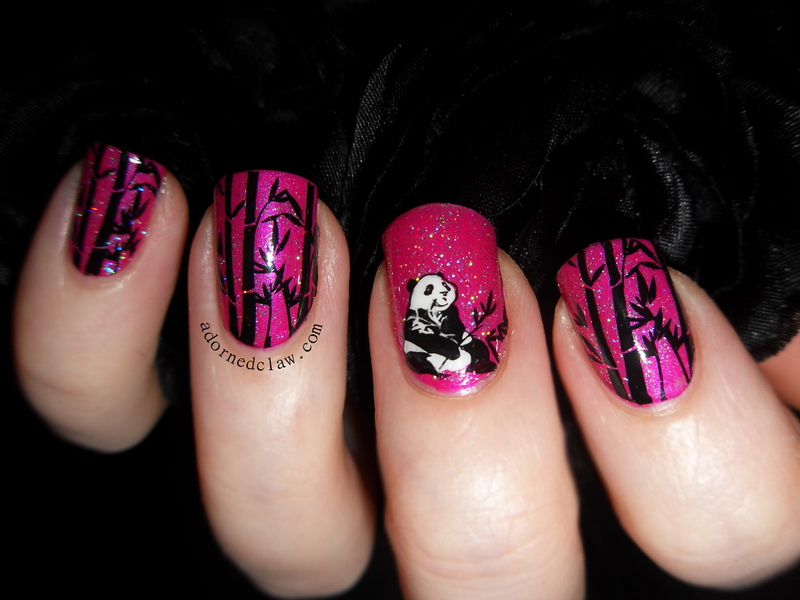 This entry was posted on Tuesday, January 7th, 2014 at 4:27 AM	and tagged with Bamboo, Bamboo Nail Art, Black, BM-424, Bundle Monster, color club, Essie, Essie Tour De Finance, Glitter, Holographic, Konad special polish, Nail Art, Nail polish, Nail Stamping, Nail Varnish, No7 Sparkling Silver, Panda, Pink, Sally Hansen, Sally Hansen Ivory Skull, Stamped Decal, White and posted in Nail Art, Nail Stamping. You can follow any responses to this entry through the RSS 2.0 feed. 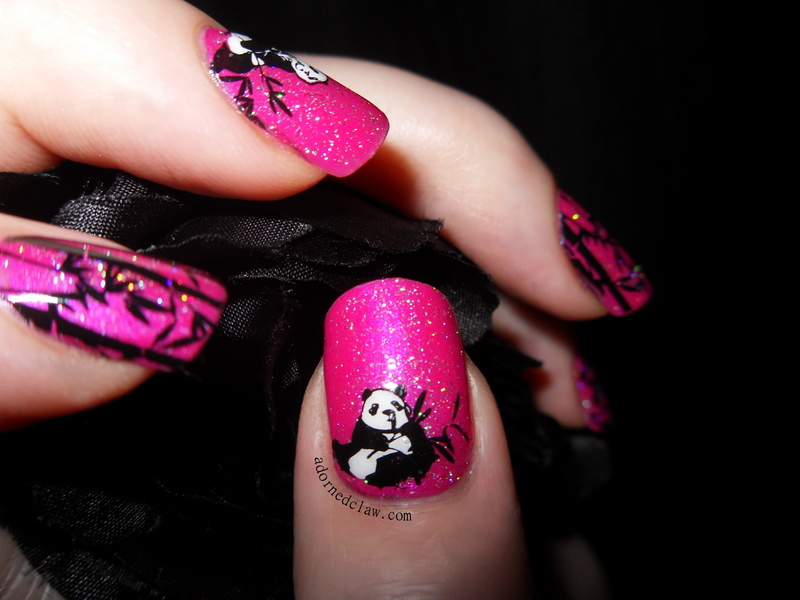 Eeee, these are lovely! Please do a ‘Stamping decal’ tutorial, I don’t think I’ve ever seen one so I’m curious now. 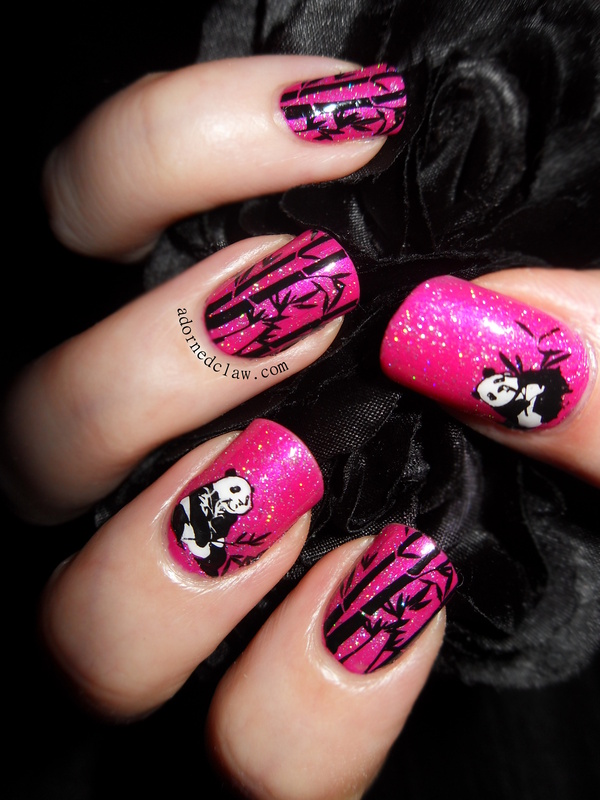 And the pandas look great!